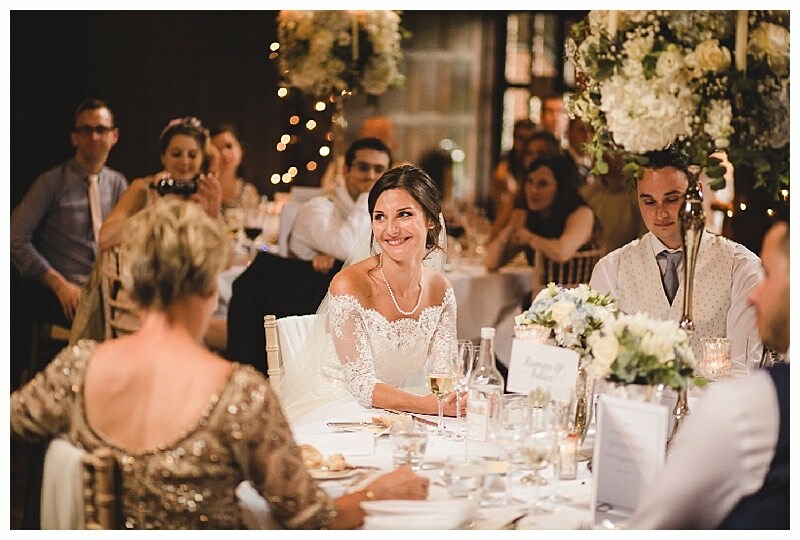 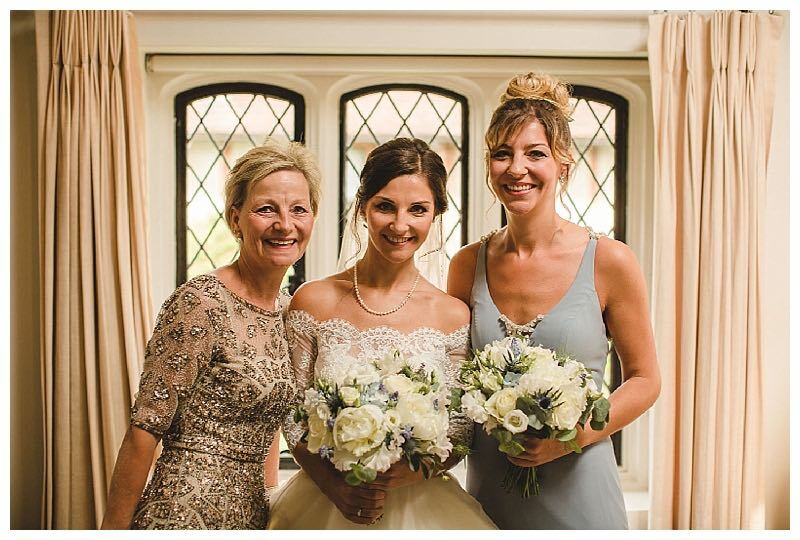 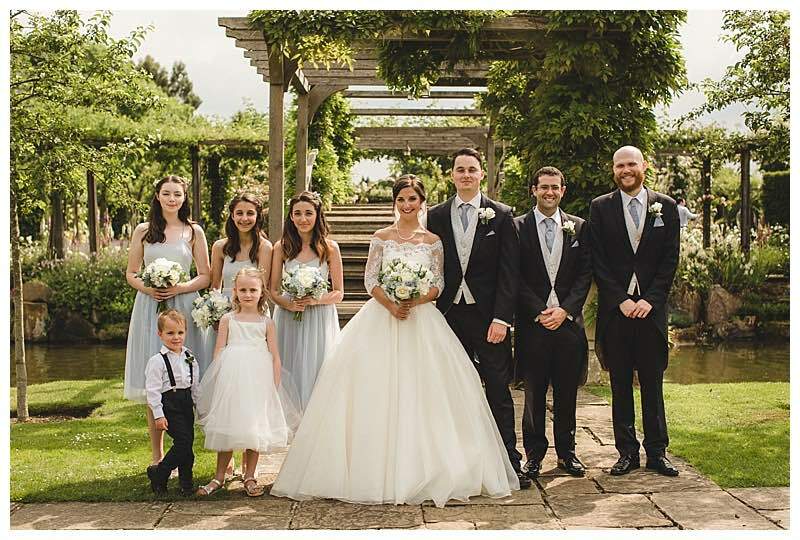 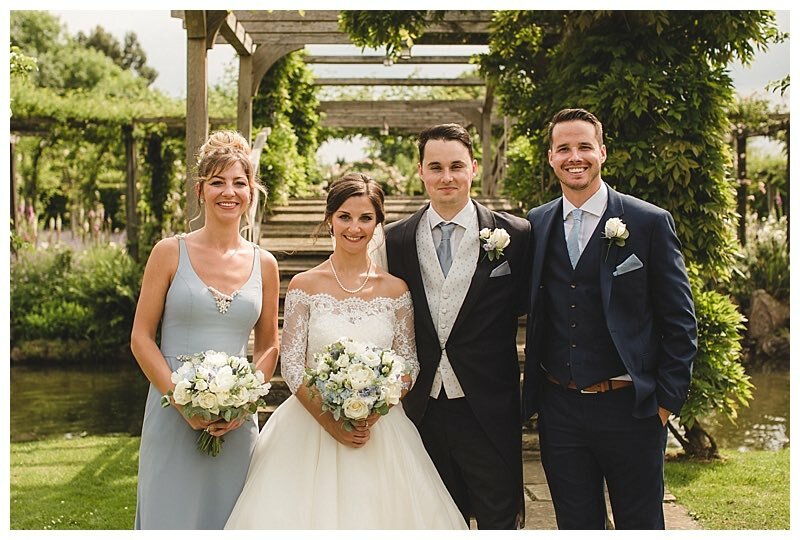 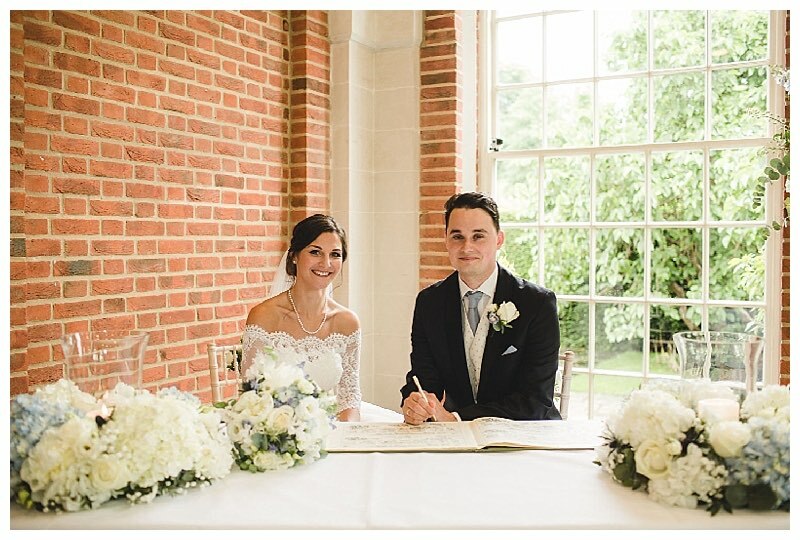 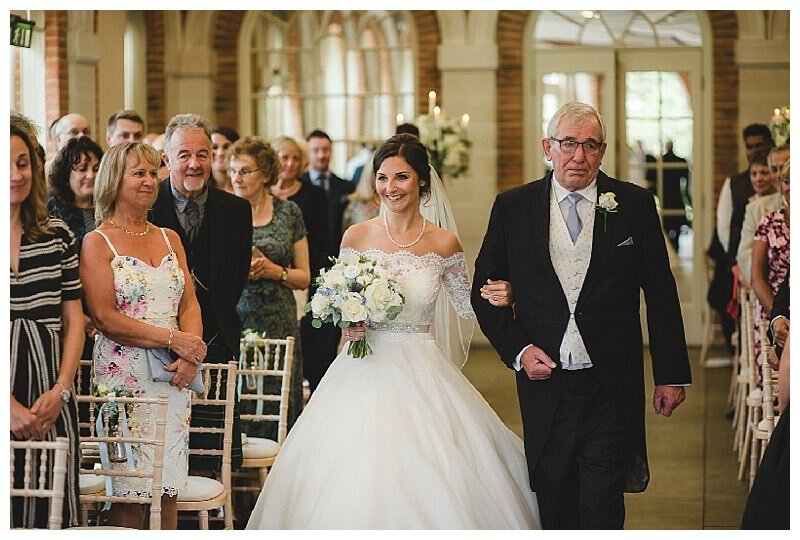 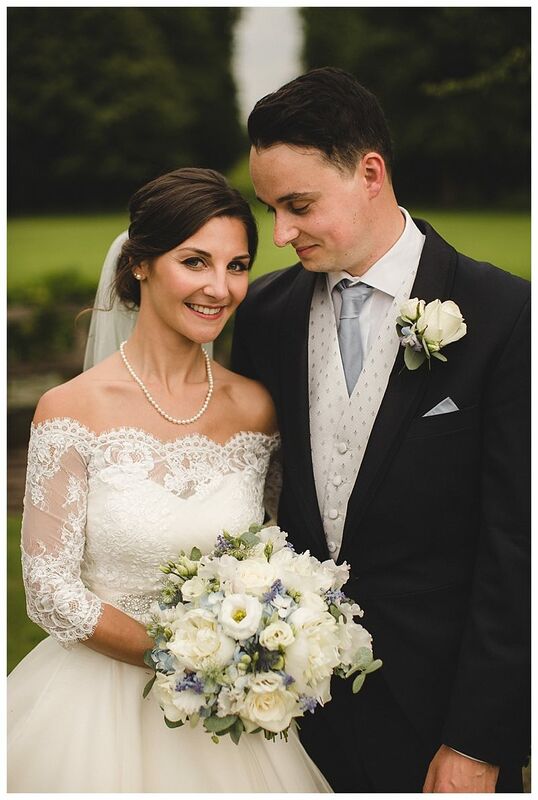 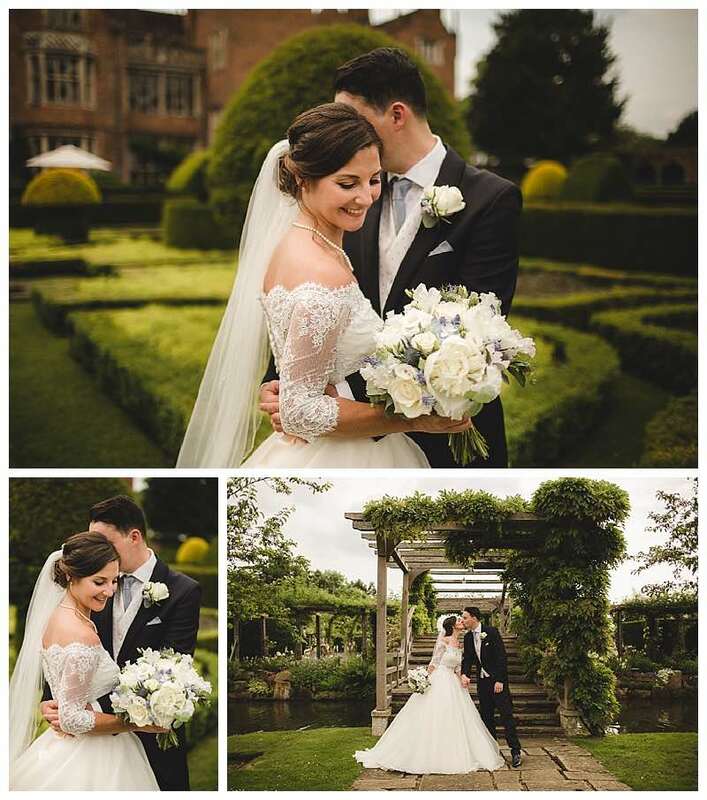 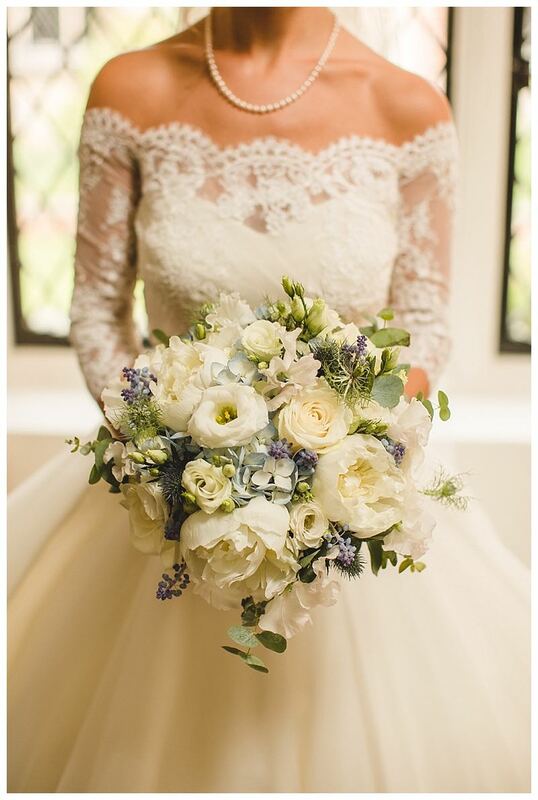 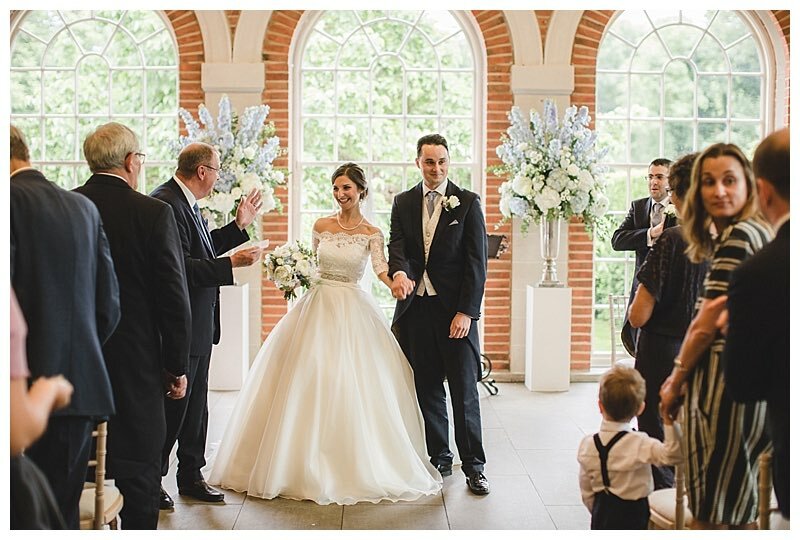 I absolutely loved working on Helen and Dom’s summer wedding flowers at Great Fosters and I totally fell in love with these absolutely gorgeous photos from Kit Myers Photography. 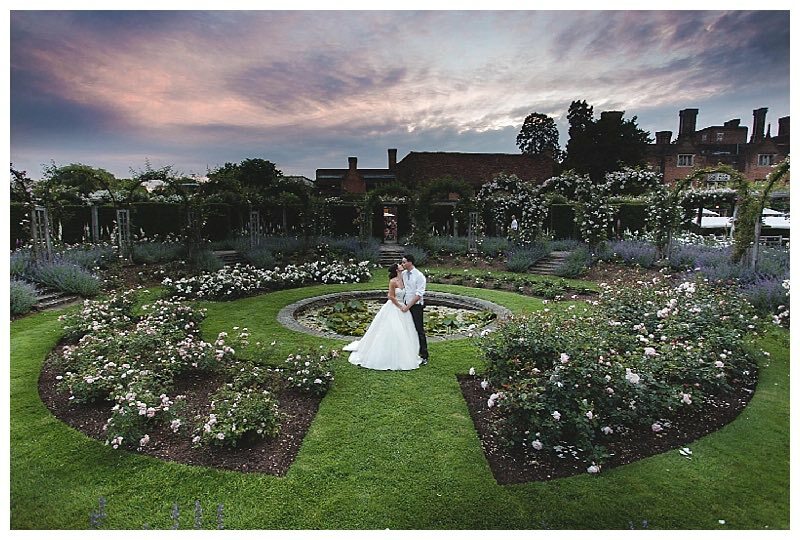 The final photo in the rose circle is the most romantic shot I’ve laid eyes on for a looooong time – Simply to die for! 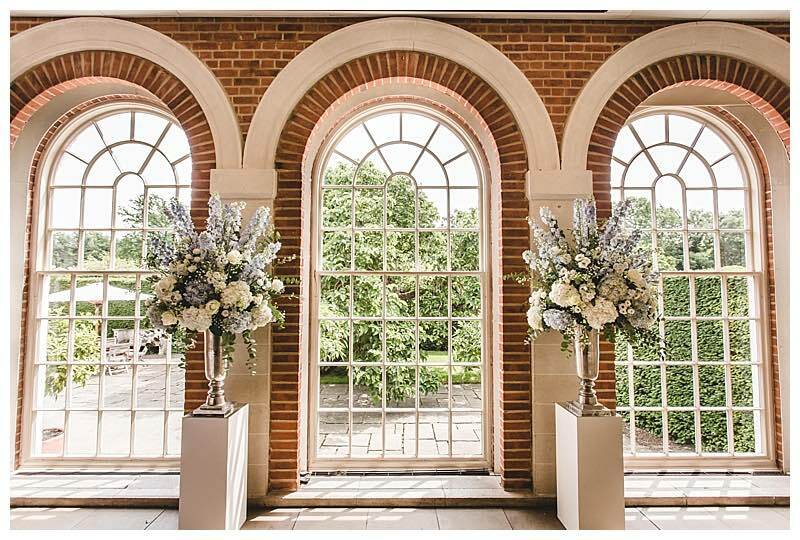 The ceremony room was light and dreamy with two dramatic urns framing the beautiful arched windows for the ceremony and the with end chairs dressed with pretty hanging posies of flowers. 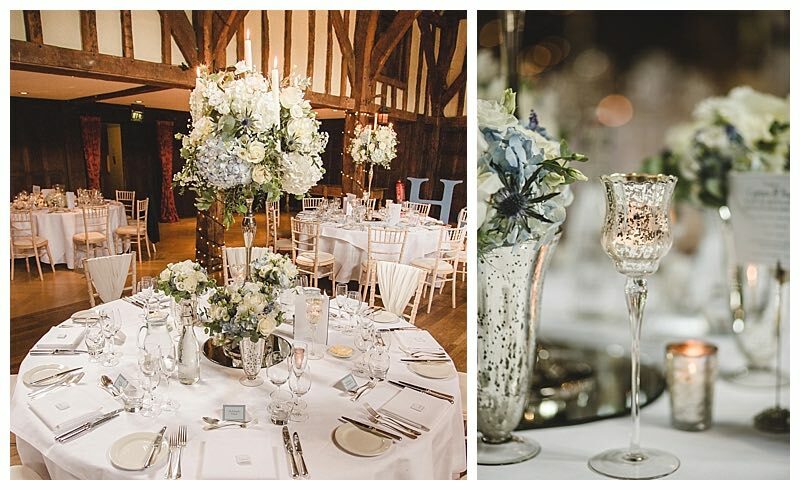 Over in the Tithe Barn for the wedding breakfast, the round top table which unusually for this wedding was in the very middle of the Tithe Barn, was styled with tall and bloomy silver candelabra centrepieces as were the surrounding guest tables in the middle of the Tithe Barn. 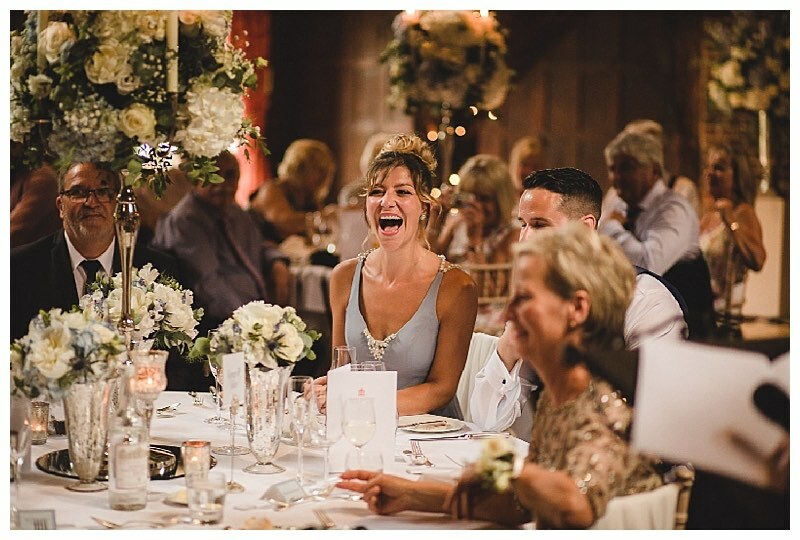 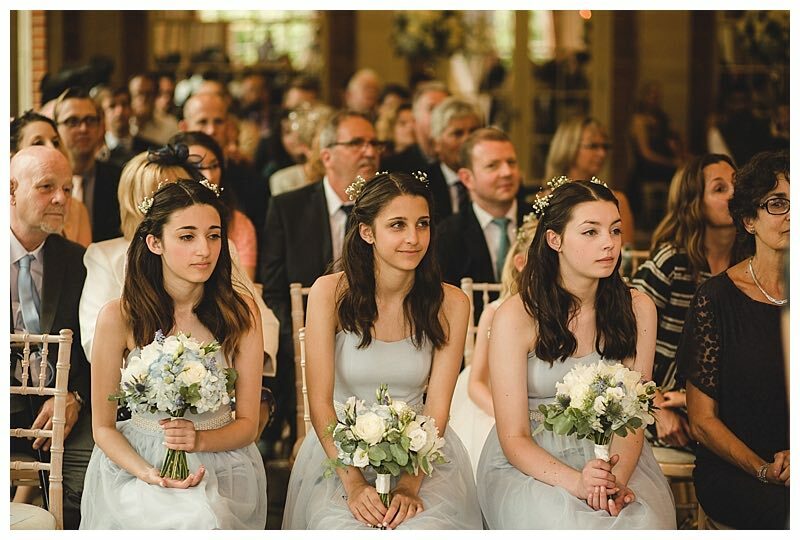 The bridesmaids bouquets were kept fresh on the top table in low fluted vintage silver vases surrounding the central candelabra, with lots of lovely extra candle holders, and the rest of the candelabra displays were surrounded by the chair end posies of flowers. 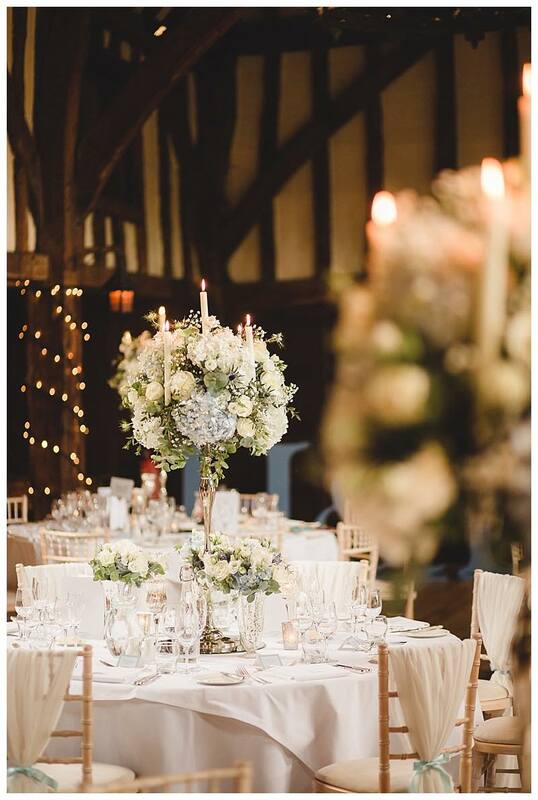 To reflect the much lower ceiling height under the eaves of the barn, those guest tables were dressed with relaxed candle-lit storm vase wreaths. 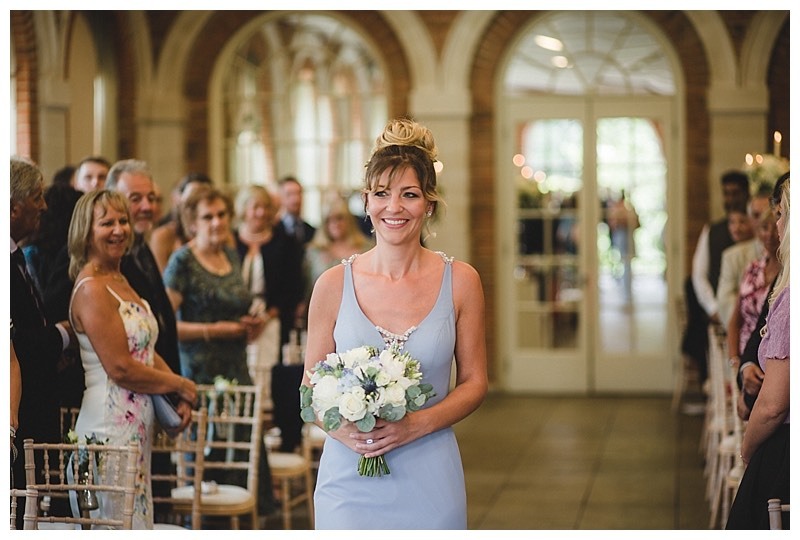 I think the look suited the Tithe Barn and the beautifully light Orangery really well and was just summer prettiness at its best. 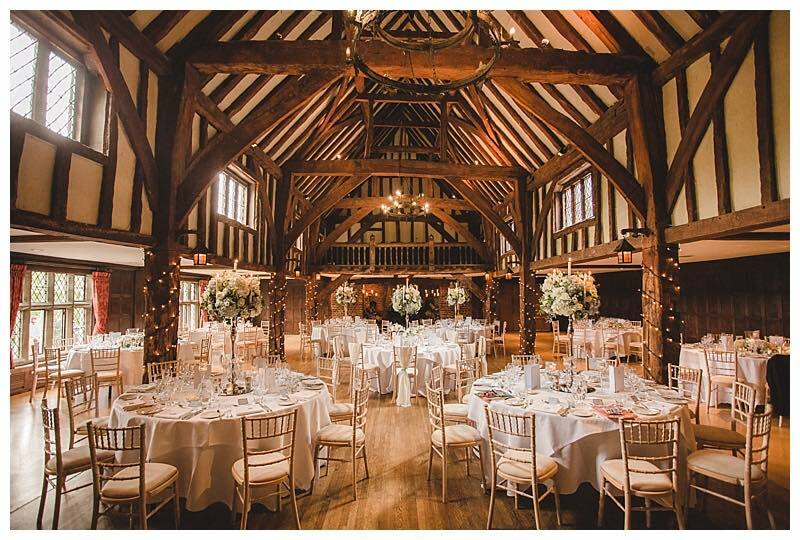 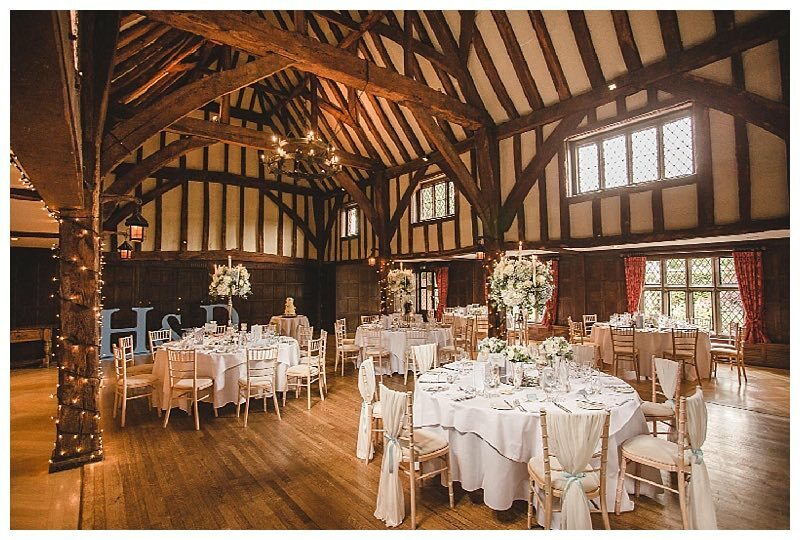 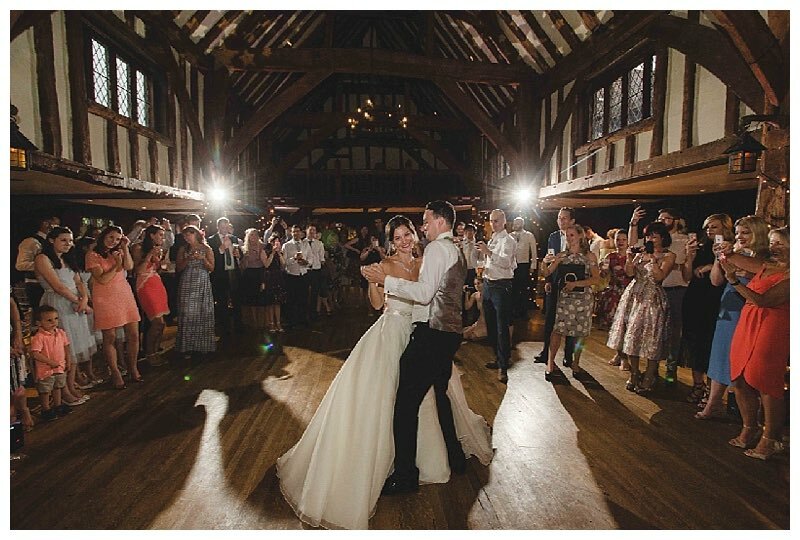 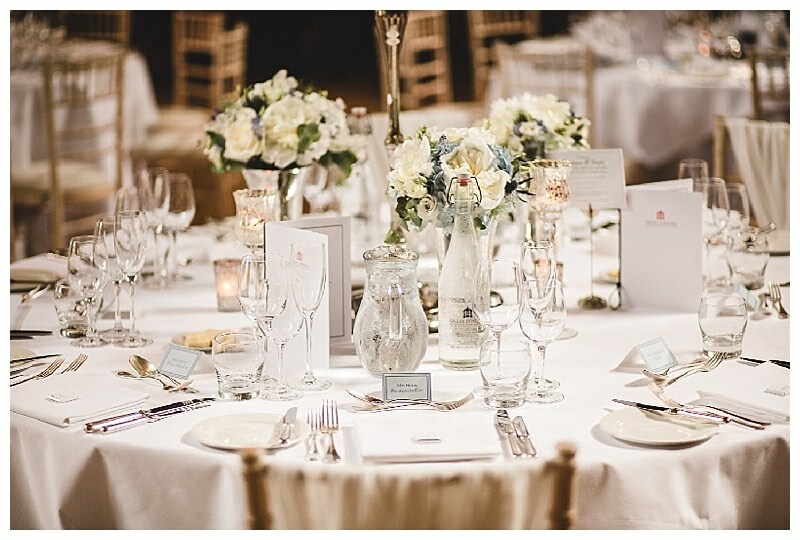 If you are planning your wedding at Great Fosters, please take a peek at our many other Great Fosters featured weddings for tonnes of ideas and inspiration. 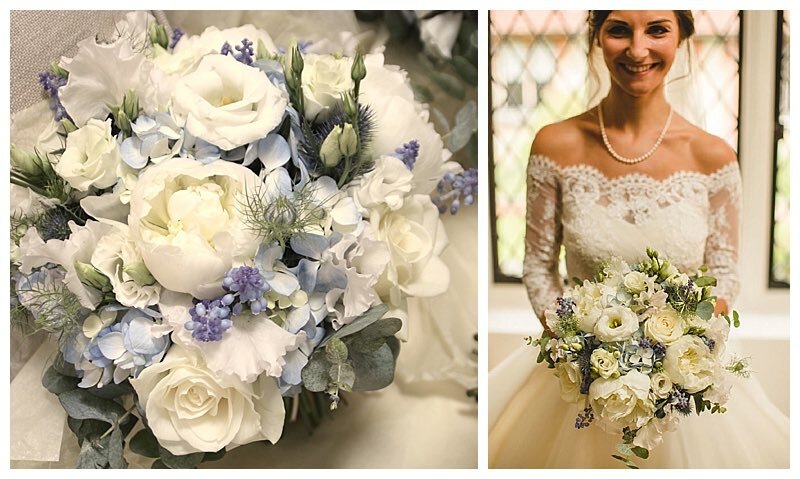 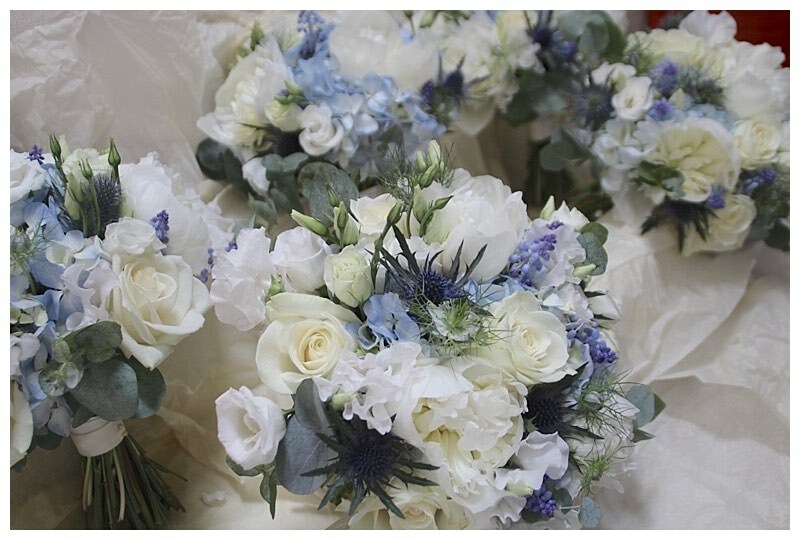 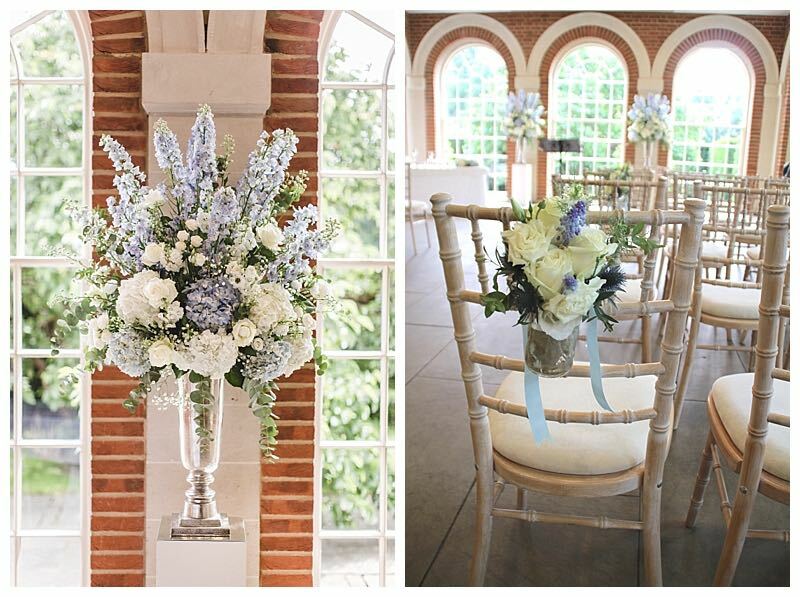 We are recommended florists at Great Fosters and we would be delighted to help you bring alive your own wedding flowers dreams. 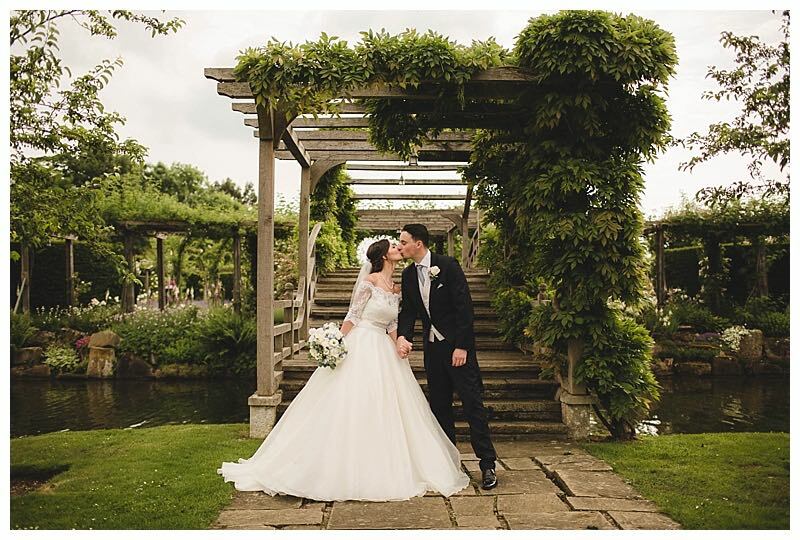 Then all you’ll need, is a beautiful moody sky like the last shot above, and you will be in wedding heaven!